We were engaged several months after all 9 of us had our first dinner together. We decided to get married in South Africa at a game reserve. My children and I had never traveled to Africa before and we were all quite excited at the adventure ahead. That is until Johann received a phone call from a game ranger. It seemed that some teenage elephants who'd been separated from their families went on a rampage and sadly killed another game ranger. He said they could not guarantee our safety but they would do their best to protect us. Johann didn't seem too worried as he'd been to game parks many times. I was slightly concerned. He put his arm around me and said "Hey it will be ok...all you have to do if an elephant goes on a rampage is to out run at least one other person!" I thought of my high heels, my long wedding dress and how I would need to scoop up my youngest daughter and run for dear life. Very funny but not comforting at all. My next concerned question was that if we were getting married in the bush at a game reserve in South Africa who is going to marry us? Without a hesitation, he said a very prominent witch doctor would marry us. I swallowed hard and called his mother. The apple doesn't fall far from the tree because without missing a beat she said "no worries dearie...he will be a Presbyterian witch doctor!" 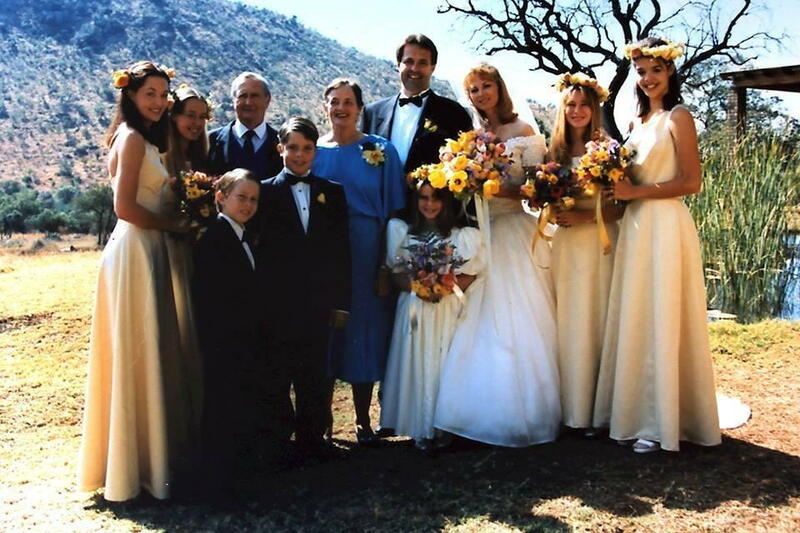 With a bit of trepidation on my part but also with great excitement, in July 1996 we packed all 7 children on a very long flight to South Africa. 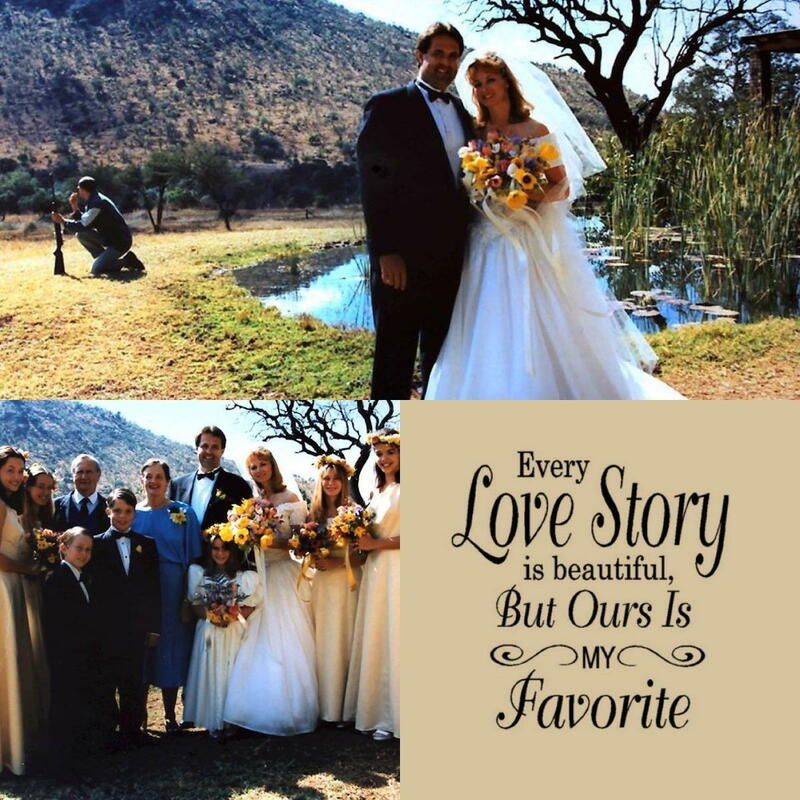 We did indeed get married in the bush at a game reserve and thankfully did not have to out run an elephant. Yet it was literally a shotgun wedding. Stay tuned for the next blog on our wedding night mishaps. Recipe for Life: Keep a sense of humor...laughter is the best medicine and can connect you in ways that are long lasting.